"DIVORCED. BEHEADED. LIVE IN CONCERT! 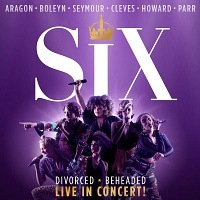 Following last year's sell out pop-concert musical, SIX returns triumphantly to the Arts Theatre powered by an all-female band."